ZULU Torque features a protective silicone sleeve that provides a no-slip grip. 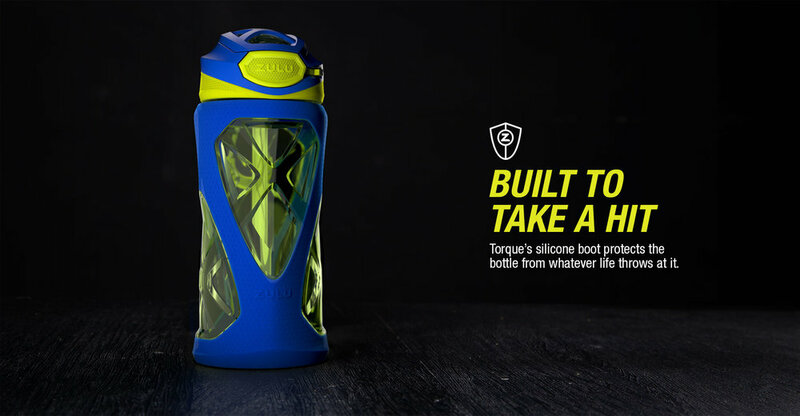 Torque’s leak-proof locking lid flips open with the simple press of a button. Its silicone straw is infused with Guardian anti-microbial technology, which inhibits odor and the growth of bacteria.